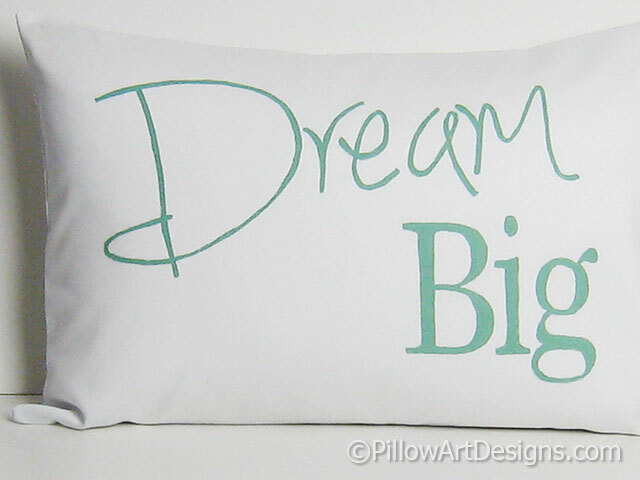 Dream Big, inspirational words hand painted on the front of this 12 inch X 18 inch pillow cover. 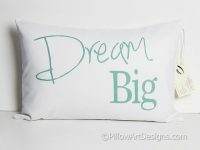 This cushion makes a great addition to your home or office decor, or a wonderful gift for someone special. 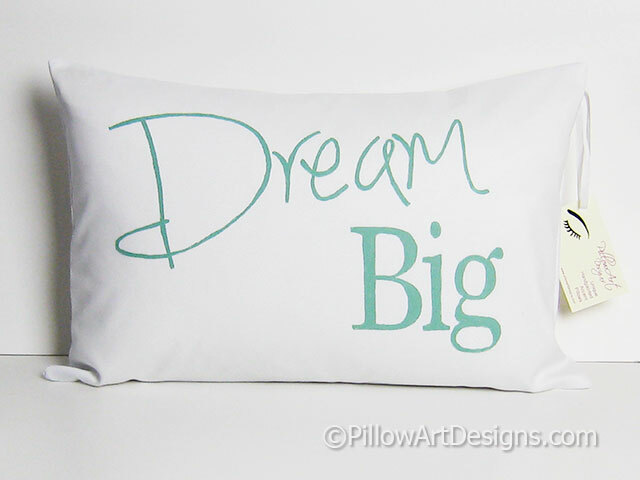 Hand painted in soft green on crisp white cotton twill. 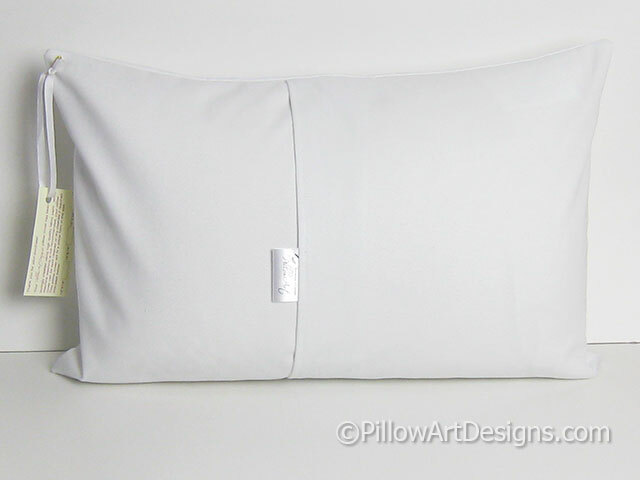 Cover made to fit a 12 inch X 18 inch pillow insert. Available also with down feather insert included (as shown), price is an additional $10.0o plus shipping to your location. Please contact me here for shipping costs to include the insert.